It’s time for some traffic problems in Brick. 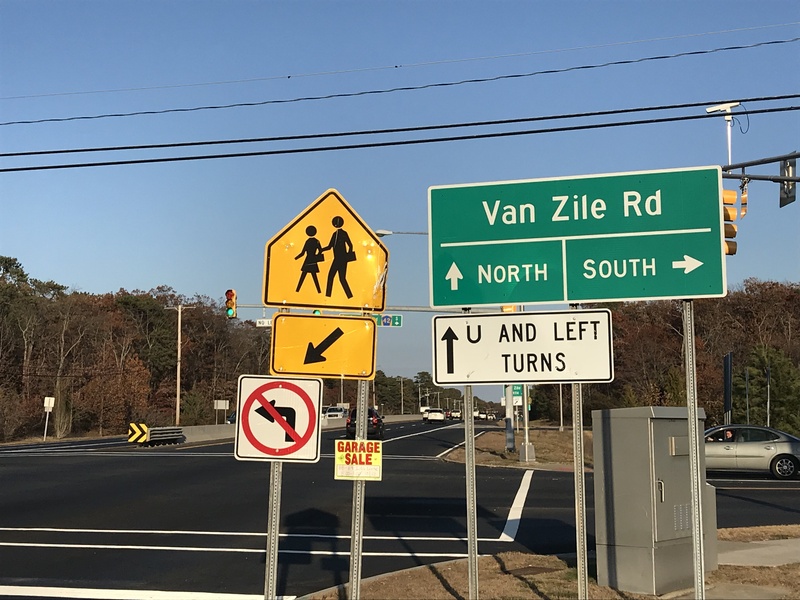 Township officials say state highway engineers screwed up a request to add a right-turn-only lane at the intersection of Route 70 and Van Zile Road by creating a left-turn-only lane instead, producing more traffic delays than ever at rush hour. Residents had been requested a right-turn-only lane (on Van Zile) because dozens of vehicles intending on making a right turn on red could be held up by a single car going straight, Mayor John Ducey said. And since the intersection crosses a state highway, the Department of Transportation stepped in and conducted its own studies of the traffic pattern. What resulted was the exact opposite of what the residents wanted: a left-turn-only lane. Now, traffic continues to back up in the right lane because it is the only way motorists can go straight, guaranteeing all of the cars that would be making right turns on red will not be able to do so. A frustrated Ducey, speaking with an equally frustrated resident on his Facebook Live show last week, said the problem can be solved with a “$30 fix” consisting of a few cans of paint. The situation is essentially in limbo, however the township has actively reached out to the state and is working with them to make the necessary repairs, Ducey saud.